Combines the fun of a photo booth with the excitement of a Grafitti Wall in less than half the space, 15-35% less expensive and is fully compatible with most social medias. 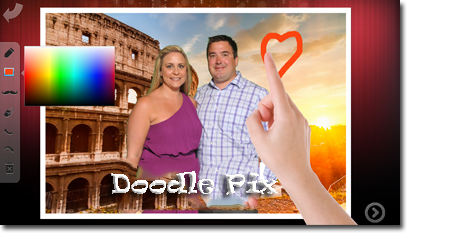 DOODLE PIX is a FREE STANDING 24″ touch screen with HD web cam and power by very cool software. DOODLE PIX XL comes with a 40″ touch screen with full social media capabilities. After the photo is taken, the guests create images on the monitor using their finger or stylus. 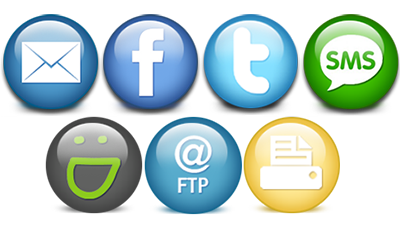 The photo can then be shared via text, Email, Facebook, Twitter, etc. with their friends. From $995 for 2 hours (other than Saturday night). Your friends haven’t seen this… yet. Photo Booths are everywhere. You’ve probably seen dozens in your area. They are offered on Groupon and at parties everywhere. Why do the same thing? 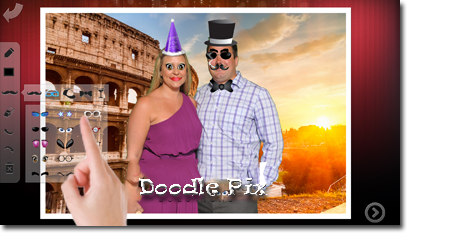 DOODLE PIX is reinventing the photo booth. It allows you to provide a truly interactive experience for your guests they haven’t seen time and time again. The killer feature of DOODLE PIX is screen drawing. Immediately after taking a photo, guests are able to draw on the screen with their fingers to personalize their image. Their photo is the canvas and they can get as creative as they want with different brush sizes and colors. If you ever sat through a long-winded Powerpoint presentation, you know that clip art makes everything better. Ok, not really, but in DOODLE PIX it’s true. Not only can guests draw on their photos, but they can add hats, moustaches, accessories and all kinds of fun stuff. Drag, drop, rotate, resize. Even better, all of the virtual props are external files, so it’s easy to use your own to customize the experience. Thanks to Instagram, everybody loves filters and DOODLE PIX has them. Let users choose from Color, Black & White, Sepia and a variety of Instagram-inspired vintage filters. 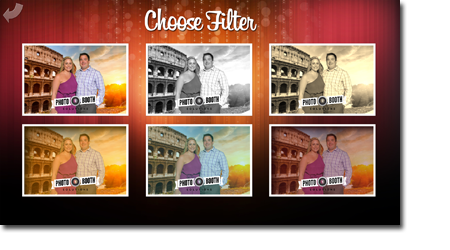 Vintage filters are external overlays so you can even create your own.